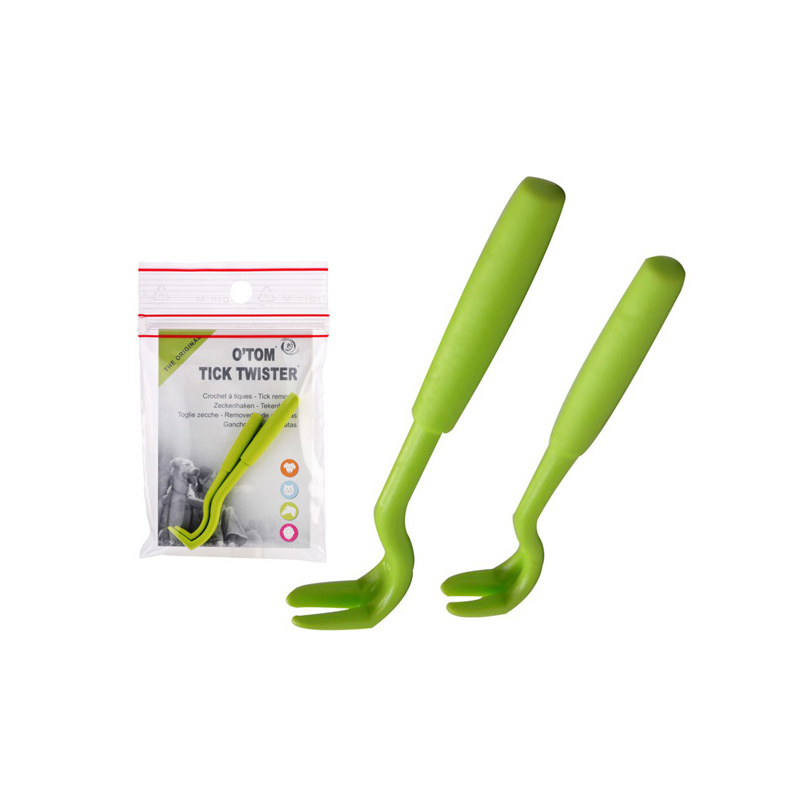 O Tom Tick remover has been specially designed to remove ticks from the skin. O Tom Tick remover has been specially designed to remove ticks from the skin. The special design allows the tick to be held without compressing it and to remove the tick by using a twisting motion. The twisting motion is the safest and most effective way to remove ticks completely. The pack has two tick removers the larger one is for removing engorged ticks and the smaller one is for removing small ticks. For more advice on how to use the tick remover safely please feel free to call one of our vets for advice on 01344 891888.